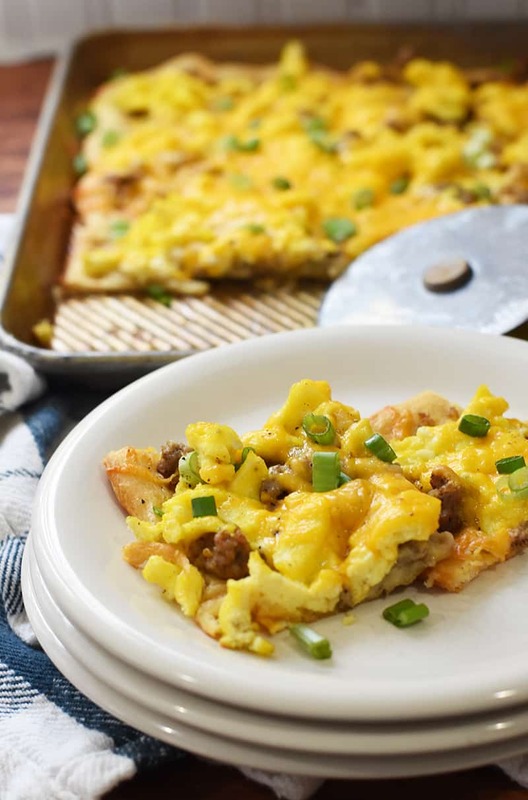 Crescent Roll Breakfast Pizza | fast & easy family favorite! 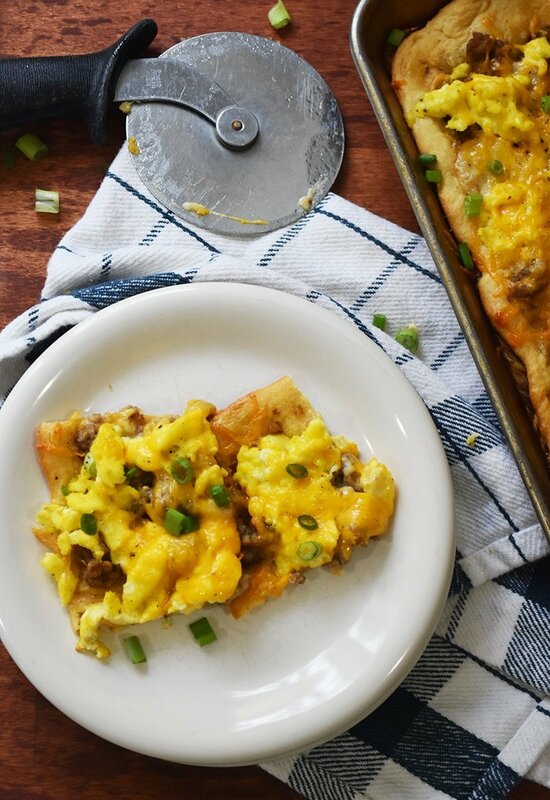 This Crescent Roll Breakfast pizza is easy and fast to make and tastes amazing! 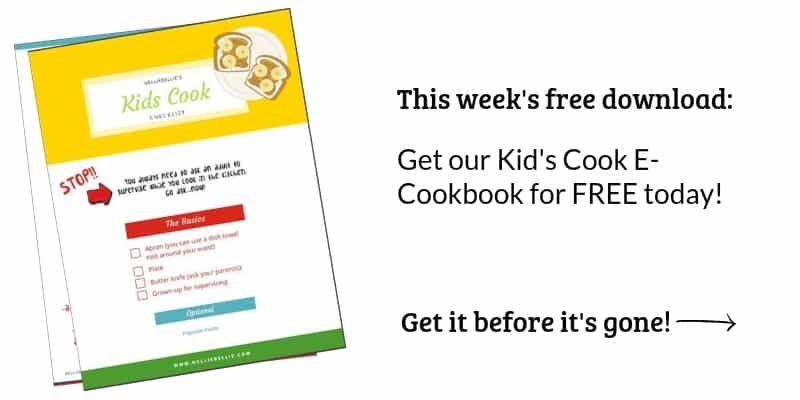 Like our Breakfast Corn dogs, this is an easy breakfast for special occasions, weekend breakfasts, or for busy mornings. 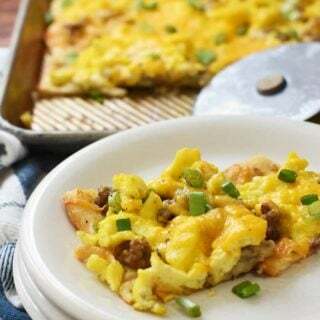 Simple ingredients of crescent rolls, eggs, sausage, and cheese for this breakfast pizza recipe! 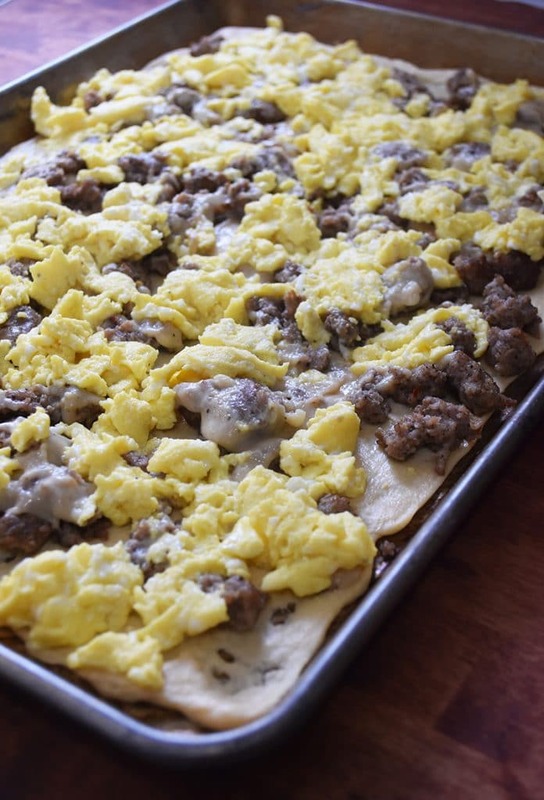 The crust for this sausage breakfast pizza couldn’t be easier. Simply roll out a tube of crescent rolls and gently press it into a cookie sheet. 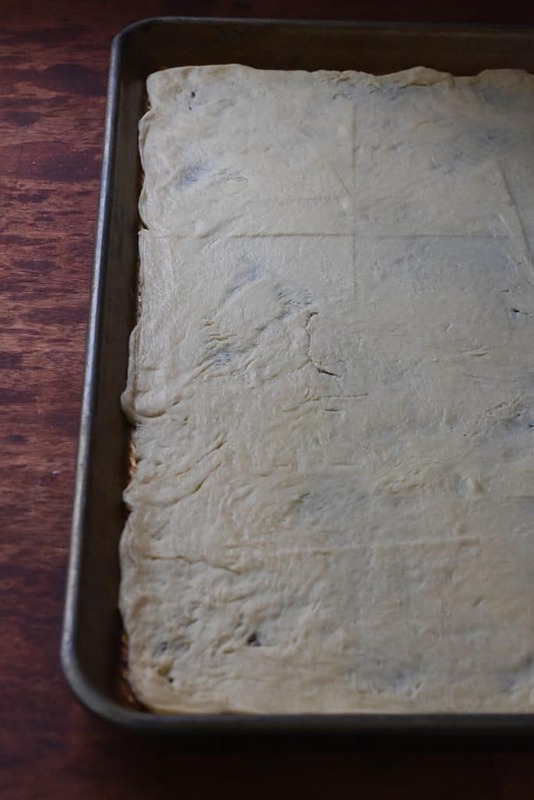 The crust will be rather thin if you use only 1 tube for a whole cookie sheet. I often will use 2 to make it go a bit faster and easier. Fry up a batch of ground sausage, put that sausage on the crescent roll crust. 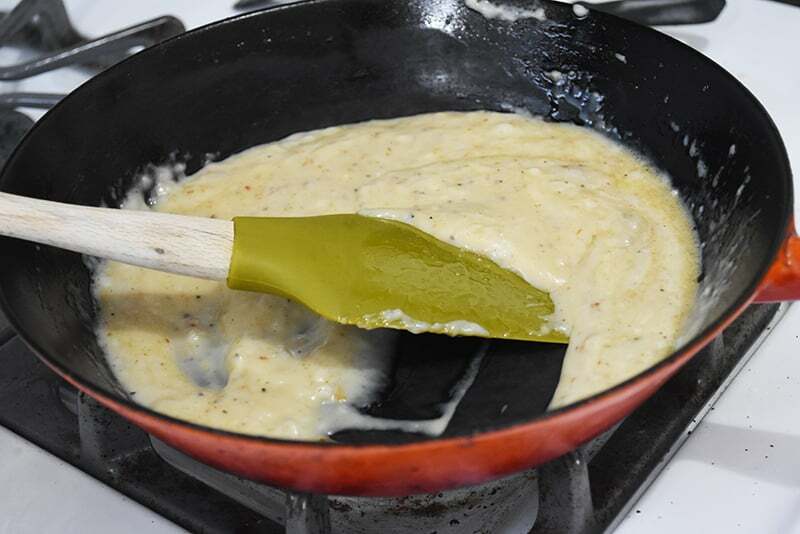 Use the drippings, some cream, and some flour to create a sausage gravy that will act as the sauce for our breakfast “pizza”. 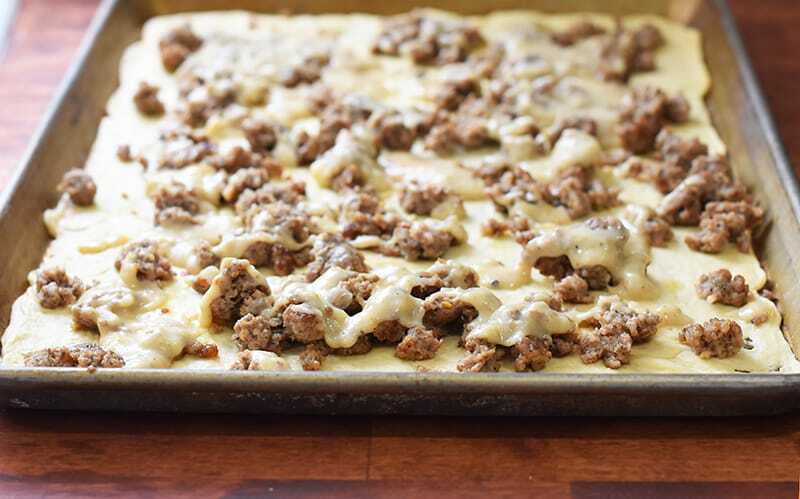 Just pour that sausage gravy goodness over the sausage and crescent roll crust. Add some good sprinkles of black pepper for good measure. Yum! 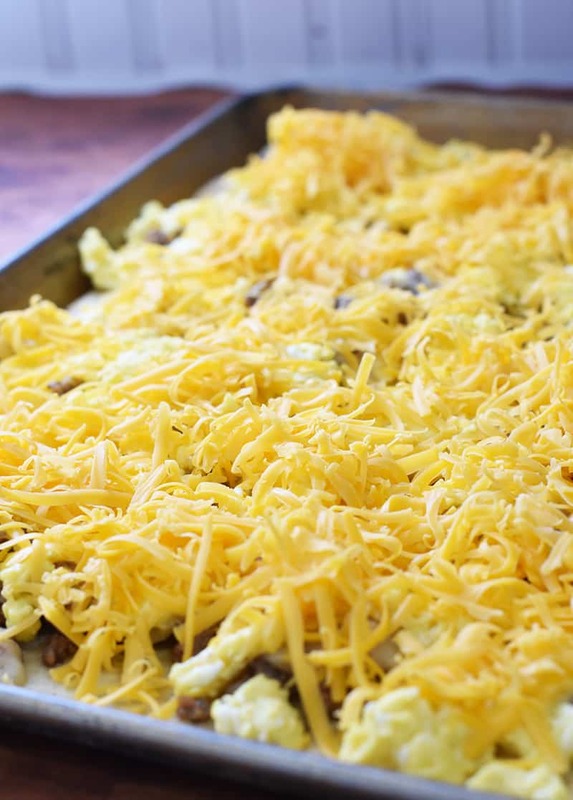 You’ll need to scramble up some eggs to put on the pizza. Honestly, I used the same pan as the gravy and sausage to keep it easy. Pile the whole thing high with shredded cheese and bake it baby, bake it! Did you know that because of the flour and processing ingredients used to keep shredded cheese fresh in the package, it doesn’t have the same “meltiness” as cheese you shred yourself? Totally true. I throw sliced green onions on top of the pizza when it comes out of the oven. Sometimes chopped parsley, if I don’t have the onions. Whatever I can find that adds a bit of green freshness. 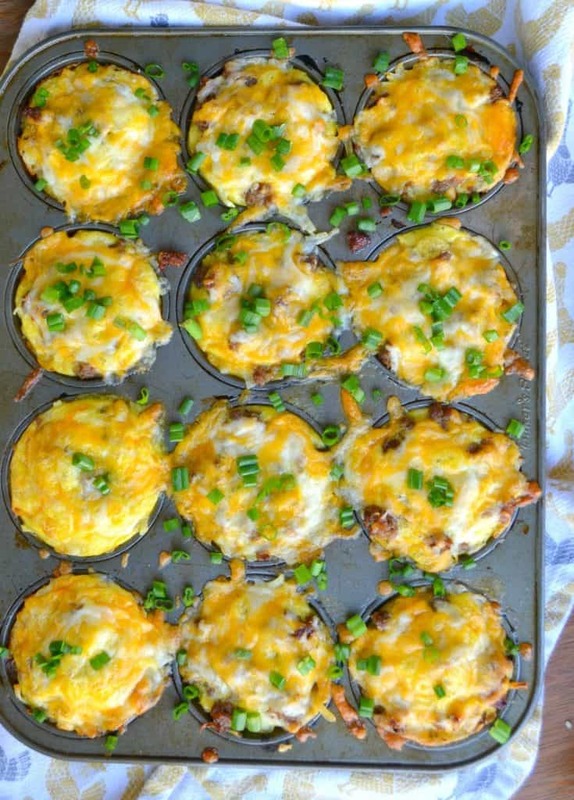 This is a breakfast the whole family loves! 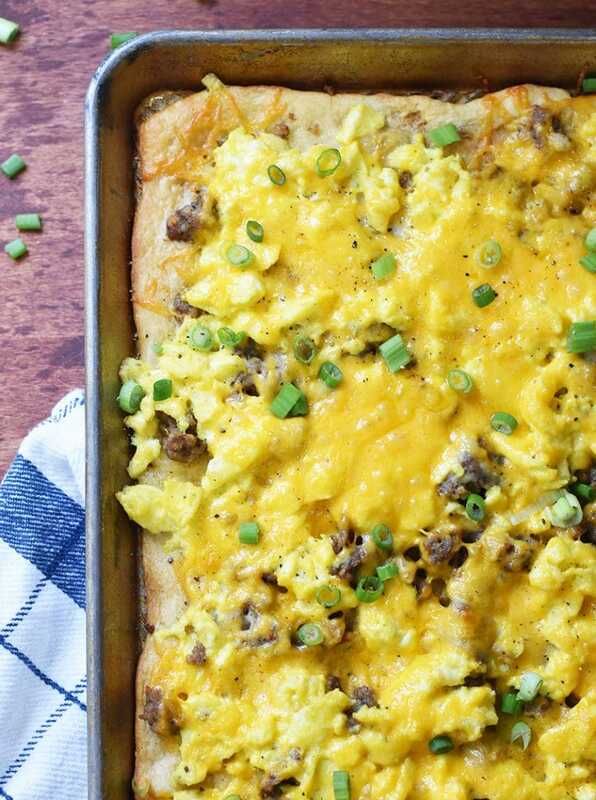 I love breakfast pizza because it is so easy to make and serves a bunch of people. Which, is basically every day around here. And using a crescent roll crust is as tasty as it is handy! Roll the crescent rolls on to a cookie sheet. In skillet on med-high, brown sausage breaking it into small pieces. 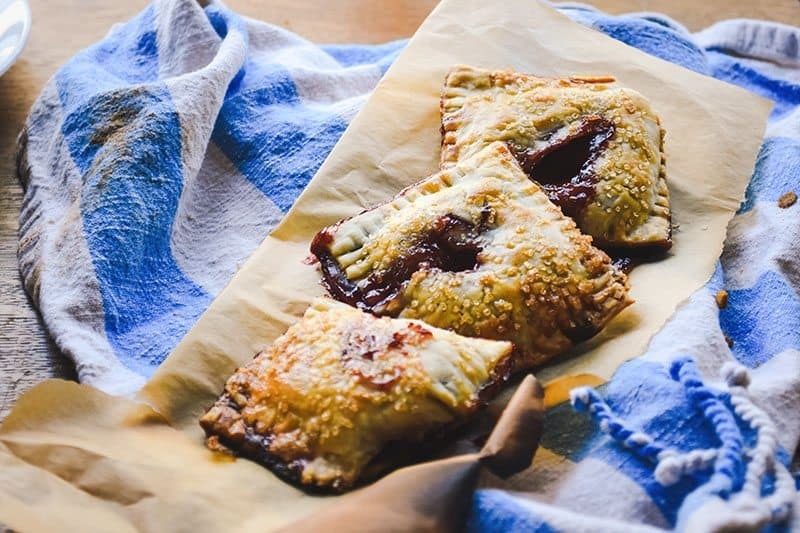 Once browned, use a slotted spoon to remove from pan and put on the crescent roll crust. Mix 1 tablespoon and 2/3 cup of milk together with 1 teaspoon pepper. While whisking with a fork, slowly pour the milk mixture into the sausage drippings. Bring to a gentle boil until thick—add additional milk if it is too thick. Drizzle the gravy over the sausage and crescent roll crust. 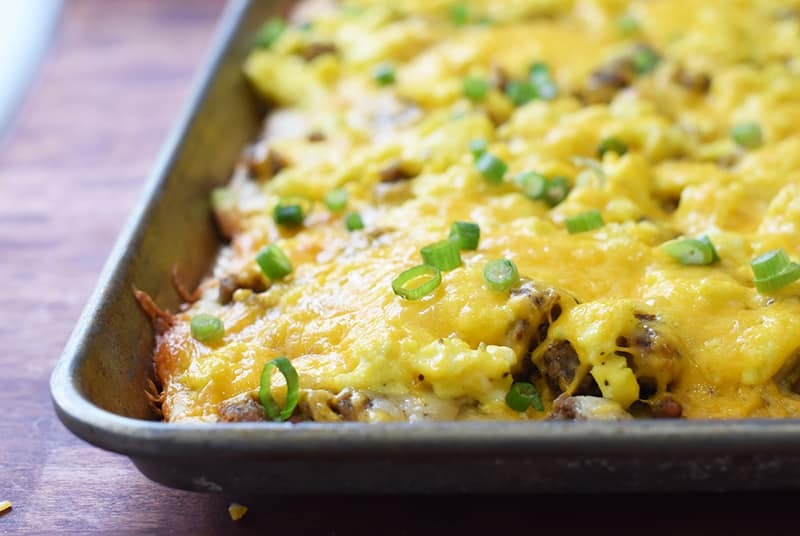 Whisk the 8 eggs in a small bowl and scramble in a skillet on med-high heat. Add to the pizza, when done. Bake for 25 minutes or until the crust is golden brown on the bottom. When the breakfast pizza is finished, top with fresh sliced green onions, fresh pepper, and sea salt.